But the same guy also taught me how to perform the most incredible fizzy-drink burps: you down an entire Sodastream as quickly as possible but make sure you keep all the gas in – this is very important; a short time later, usually when you’ve almost forgotten about the gas within, you will emit the most astounding, lengthy and earth-shuddering belch. It works too. Once you’ve mastered it, you can also begin to belch-speak. You haven’t tried that? You’re crumbling before me. Start by saying your name. Next time, your full name. By the time you’re on your 18th Sodastream, you’ll be belch-speaking entire sentences. I met someone who could actually belch “the Archbishop of Canterbury’s Special Envoy Terry Waite” – that’s talent. I’m not making that up. 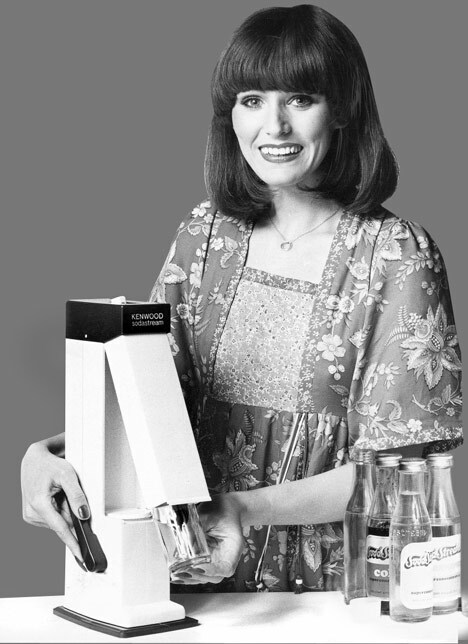 Anyway, all this gassy nostalgia got me thinking about what an acquired taste some ‘soft’ drinks are – and how many of the old ones will become fashionable again with the return of Sodastream. I had my first encounter with Root Beer today. It will also be my last. I haven’t tasted a drink as foul since my mother used to force Milk of Magnesia down my throat as a child. I still don’t know why she did that either. Root beer tastes like the smell of Wintergreen – and I cannot possibly enjoy a drink that reminds me of my junior football team’s changing rooms. Another vile drink is the utterly bizarre Dandelion and Burdock. We used to have the odd bottle in house when I was a child. My dad swore he liked it. Again, I thought it was ghastly, like a sulphuric cough mixture that left you with the symptoms of consumption. Last, and by all means least, the noxious, intolerable, throat-chafing matter known as Cream Soda. The nostalgic affection for this substance is on a par with the way people get misty-eyed for the good old days of polio. It has the consistency of cold blood and the lingering aftertaste of unwashed ice cream salesman. Truly revolting, and all the worse when people greedily turn it into an ice cream float. Anyway, all this talk of soft drinks is making me thirsty for Italian black grape juice. Arrivederci! This entry was posted on August 6, 2010 at 5:11 pm and is filed under Food & Drink, Unwanted Comebacks. You can follow any responses to this entry through the RSS 2.0 feed. You can leave a response, or trackback from your own site. Still partial to the odd D&B to this day. Never tasted Sodastream though. Surely only the middle classes could afford that. Leigh – yeah, your teeth are perfect but you have false gums, right? Does Dave work for Sodastream? If so he should be ashamed. Actually, if not he should also be ashamed.